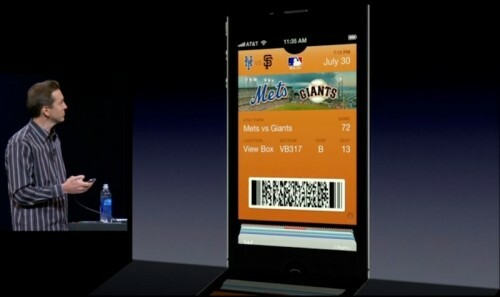 According to a report from GigaOM, Major League Baseball is expanding support for mobile ticketing via Apple’s Passbook app, announcing that this season mobile tickets will be accepted at 13 stadiums, up from four last season. Digital tickets can be purchased through the free AtBat app and stored in the Passbook app. Also Samsung today announced an Android-based app called Samsung Wallet, which mirrors Passbook's functionality, down to location- and time-based push notifications. Currently the app is a developer-only beta, and the public version will be released in the near future. The Verge reports that Samsung has also signed deals with MLB, Expedia, Belly, Booking.com, Walgreens Lufthansa and Hotels.com for the app's launch. “The company showed off a few features of the new app during its developer keynote, and it's quite clear that Samsung took its design inspiration for Wallet from Apple's Passbook (even down to the icon that Samsung used)”. The first version of the app will not support NFC payment technology, despite the existing partnership between Samsung and Visa's PayWave service. Samsung notes that retailers have been reluctant to invest money in the additional infrastructure required for NFC payments, making support for NFC technology a lower-priority feature for the Wallet app.